Officers were involved in a shooting after responding to reports of an armed robbery call in Peoria on Monday night. 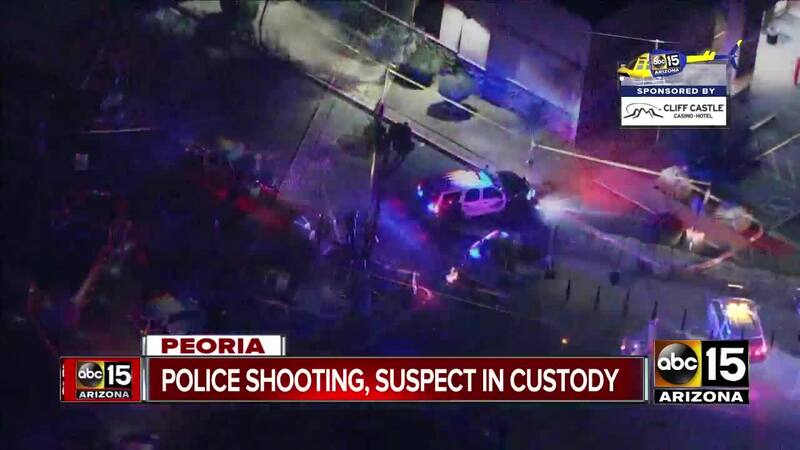 PEORIA, AZ — Peoria police officers were involved in a shooting after responding to reports of an armed robbery at an AutoZone last week. According to Peoria police, officers responded to the call of an armed robbery at an AutoZone located at 91st and Northern avenues. Police say a 17-year-old suspect held two employees at gunpoint during the robbery. An officer reportedly shot the suspect while he and the store manager were wrestling for the suspect's handgun, according to court documents. The suspect, who has not been named because he is a minor, was arrested and taken to an area hospital with non-life-threatening injuries. The teen has been charged in juvenile court for aggravated assault, kidnapping and armed robbery.